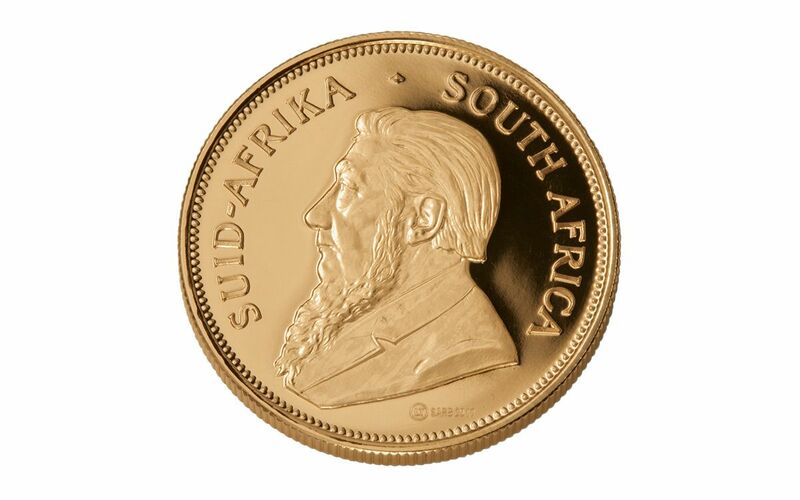 A Vintage Gold Coin…Struck in 2017? 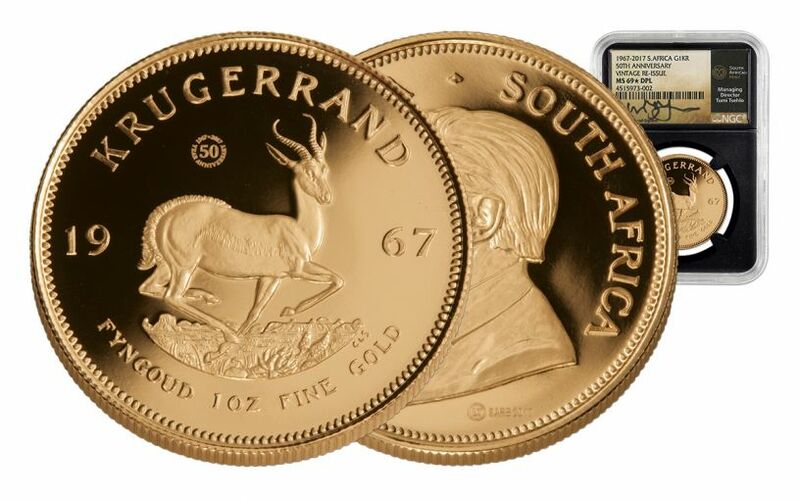 To celebrate the Gold Krugerrand's 50th anniversary, the South African Mint has authorized these stunning 1967 Vintage One-Ounce Gold Krugerrands, struck in 91.67% pure gold. Why "Vintage?" Because they not only bear the original design, but the original 1967 date as well! 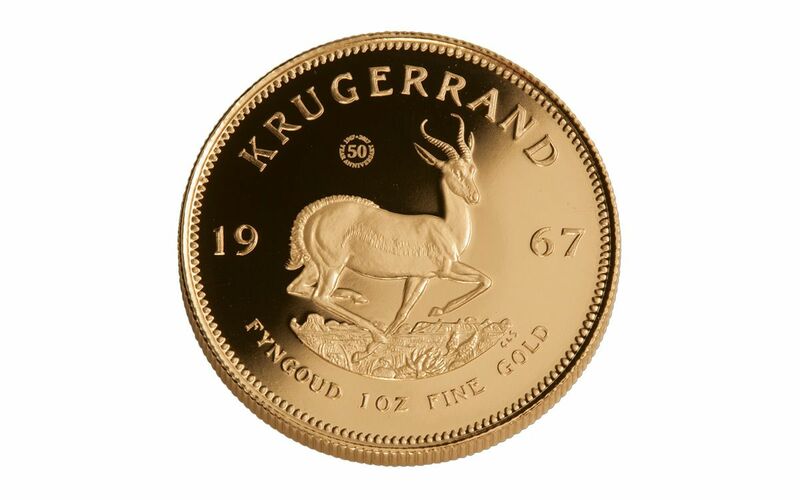 In order to create these Vintage Krugerrands, the South African Mint made dies from the original tooling used to manufacture the very first Krugerrands in 1967! They're a near-exact copy of the originals, with the exception of two special mint marks -- one to denote the special 50th anniversary, and one to authorize the coin as official legal tender. 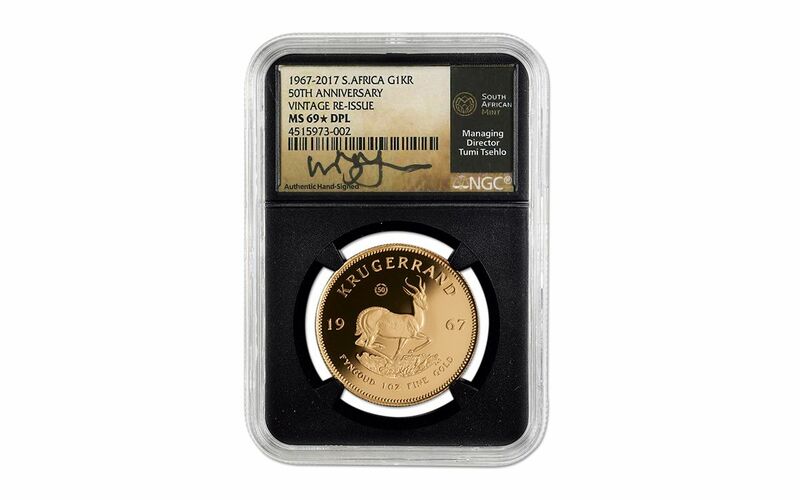 Get yours graded by Numismatic Guaranty Corporation (NGC) as near-perfect Mint State-69 Deep Proof-like (MS69 DPL) condition. Plus, every Vintage Gold Krugerrand you order comes with a label signed by South African Mint director Tumi Tsehlo!